A Kilkenny man has been crowned 'Ireland's Funniest Fecker' following a search and online public vote to discover emerging comedy talent. Mark Dargan will already be familiar to some readers from his online videos and previous collaborations with comedy favourites the Fupin Eeejits. Vodafone Ireland, as part of its Centre Stage campaign, began the lookout for Ireland’s Funniest Fecker with the help of Irish comedian and TV personality, Kevin McGahern. The online search was created to champion new Irish comedy talent and discover the next generation of comedians. Drumroll please........... Congrats Mark Dargan! Competing against five budding comics, 26-year-old Mark was the judges’ top choice. 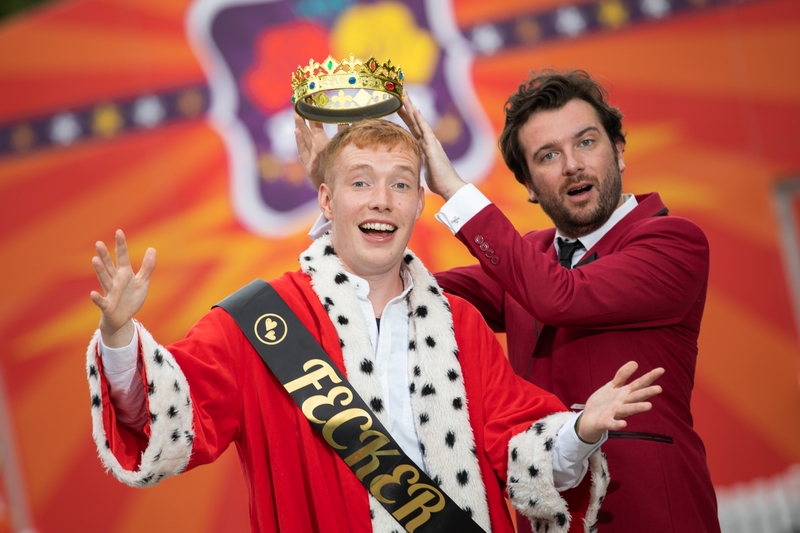 The Kilkenny native was crowned Ireland’s Funniest Fecker at a ceremony hosted by Kevin McGahern, where he was presented with a brand-new iPhone X, as well as VIP treatment over the course of the Vodafone Comedy Festival weekend. To win the Ireland’s Funniest Fecker title, people were asked to upload their best original sketches or jokes to Facebook, Instagram or Twitter using #CentreStage. The best videos were then selected before the finalists going head to head in a public vote. Over the weekend at the Vodafone Comedy Festival in Dublin’s Iveagh Gardens. The festival, which finished up yesterday, saw over 120 acclaimed performers from Ireland and across the globe bring laughter and craic to the capital.